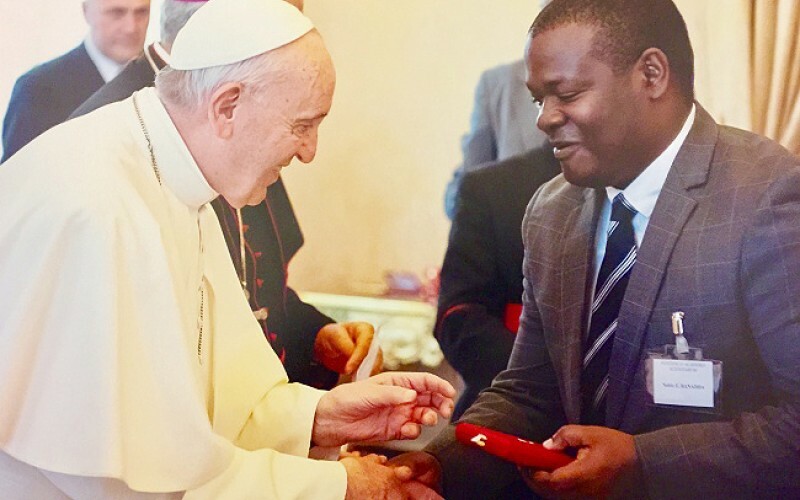 KAMPALA– Makerere University’s Prof. Noble Banadda on Monday, November 12, 2018, officially became the first African recipient to get the Pius XI Golden Medal Award. The exuberant Prof. Banadda, was awarded for his Scientific Excellence and publication. “This afternoon on November 12, 2018, I met the Holy See, Pope Francis at the Vatican and he personally awarded me the Pius XI Golden Medal Award for Scientific Excellence and publication. It is a great honour for me as the first African recipient of the golden award,” Banadda said. 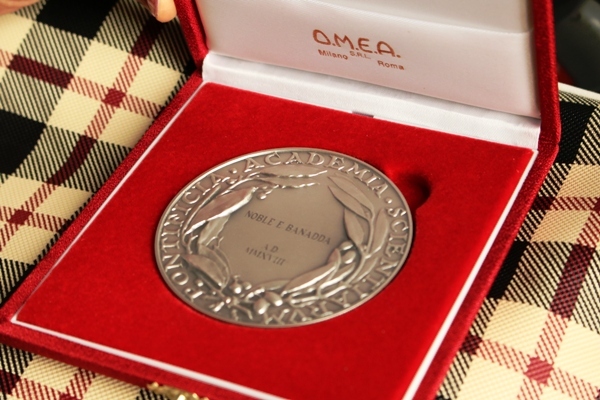 The award, given by the Pontifical Academy of Sciences based at the Vatican, is in recognition of his outstanding scientific research. In his address to the Pontifical Academy, His Holiness Pope Francis urged the recipients to accord greater attention to the values and fundamental goods that are at the basis of the relationship between people, society and science. “You, dear scientists and friends of science, have been entrusted with the keys of knowledge,” the Pope Said. “I would like to stand before you as the advocate of the peoples that receive only rarely and from afar the benefits of vast human knowledge and its achievements, especially in the areas of nutrition, health, education, connectivity, well-being, and peace. “Allow me to say to you in their name: may your research benefit all, so that the peoples of the earth will be fed, given to drink, healed and educated,” read part of the His Holiness’ remarks. Prof. Banadda is currently the Chair, Department of Agricultural and Biosystems Engineering, College of Agricultural and Environmental Sciences (CAES) at Makerere. The Pius XI Gold Medal is awarded every two years. Prof. Banadda hails from Kabale, South-Western, Uganda. He was the first black African to get a PhD in chemical engineering after 600 years of existence. He holds an MSc in Processing Engineering from the Katholieke Universiteit Leuven (Belgium) and a BSc Food Science and Technology from Sokoine University of Agriculture (Tanzania). In 2007, he won the Cochran Fellowship to undertake postdoctoral studies in the Department of Chemical Engineering at Massachusetts Institute of Technology (USA). In August 2012 he was appointed a full professor at the age of 37 years. This was the first ever in the Department of Agricultural and Biosystems Engineering at Makerere and the only one to-date. He was the youngest person to join the Uganda National Academy of Sciences in 2013 and the only person to qualify to be in both the young and senior academy in Uganda. In 2015, he was among the only seven Africans that qualified as persons of the prestigious Next Einstein Fellowship. He has done a number of researches with a bias in mathematical modeling, biological systems, and renewable energy. Prof. Banadda first won a research grant from the Regional Universities Forum for Capacity Building in Agriculture (RUFORUM) in 2011 through it Competitive Graduate Research Scheme. The study that sought to address public health concerns found that both black and green polyethylene bags, commonly used to wrap food in Uganda, contained heavy metals in varying concentrations which migrated into food during cooking at different temperatures and their migration increased with increase in temperature and holding time. This, therefore, exposes people to ingesting heavy metals, though in small quantities, which may accumulate over a long period of time and cause health problems. In 2015, he won a second grant to carry out research on “Pyrolysis of agricultural waste for bioethanol production”. The purpose of this research was to produce ethanol from low-cost agricultural biomass such as banana peels, straws, plant stalks, stovers, and molasses in order to make it competitive as a direct fuel or blended into petrol as an additive. The success of this project will, among other benefits, enhance incomes, moderate fuel prices, attract youth into agriculture, and create jobs. In March 2016, Prof. Banadda hit media headlines for coming up with a new technology of making diesel from heavy plastics. 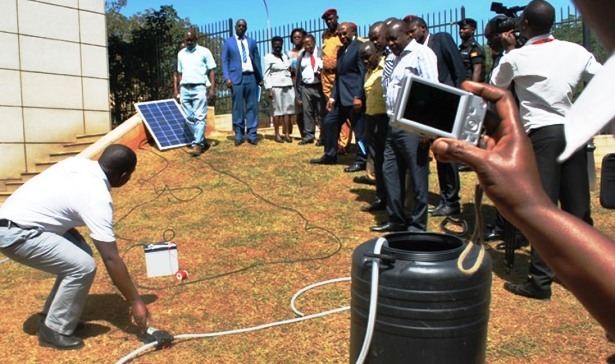 The demonstration was carried out at the engineering workshop at the university farm at Kabanyolo. The innovation was the first of its kind in the country and a step toward utilizing waste polythene bags/ plastics and addressing the problem of the hazards caused by poor disposal of polythene bags in the country. The diesel can be used in motor vehicle engines, generators, lighting in the house and lighting charcoal stoves among others. What remains after the chemical extraction of diesel can also be used as manure in gardens to enhance soil fertility. In July 2016, Banadda unveiled an organic pesticide (Vinegar) from agricultural waste mainly from eucalyptus sawdust that has no human health and environmental effect. This organic pesticide can be easily used by farmers to control pests like the red ants which are a common menace to Ugandan farmers. The organic pesticide was tested and sprayed on various insects and red ants at the Makerere University Agricultural Research Institute Kabanyolo, where results were impressive. The research breakthrough presents business opportunities for organic farming and export. Another jubilant moment was when Prof. Banadda crowned the year 2015 by launching the first-ever Makerere University MV Mulimi – a multipurpose cost-effective farmer’s tractor. 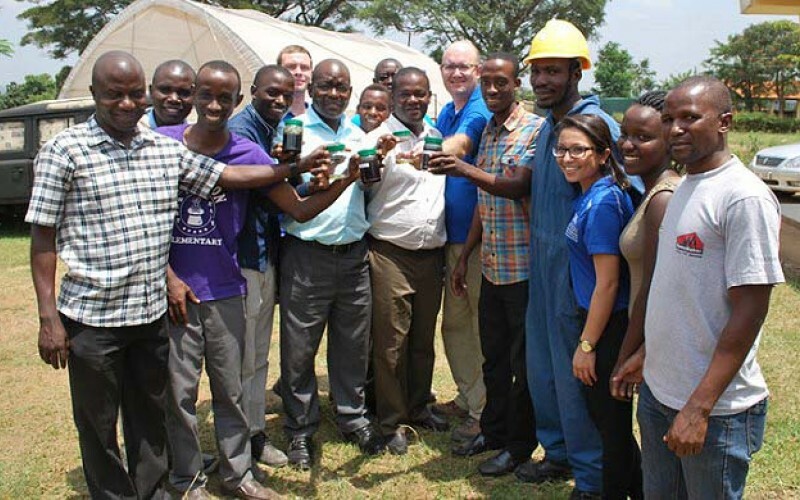 The innovation was launched on 31st December 31, 2015, at Makerere University Agricultural Research Institute Kabanyolo (MUARIK) with the aim of providing practical solutions to basic farm problems faced by small-scale farmers in Uganda. The Multipurpose tractor has been tested for and capable of performing five (5) tasks, namely; threshing maize to reduce postharvest losses; pumping water for irrigation; charging phones to keep farmers informed of Agricultural produce markets; hauling agricultural produce up to 1 ton and ploughing fields. The university can now fabricate this tractor at a cost of only 25 million shillings. In March 2017, Prof. Banadda led a research team and developed a solar-powered Irrigation pump as a cheap and reliable solution for small-scale farmers.